Dickson was generally considered the best punter in college football last season. The Seahawks traded up to draft him, setting off a run of punters taken in the fifth round. 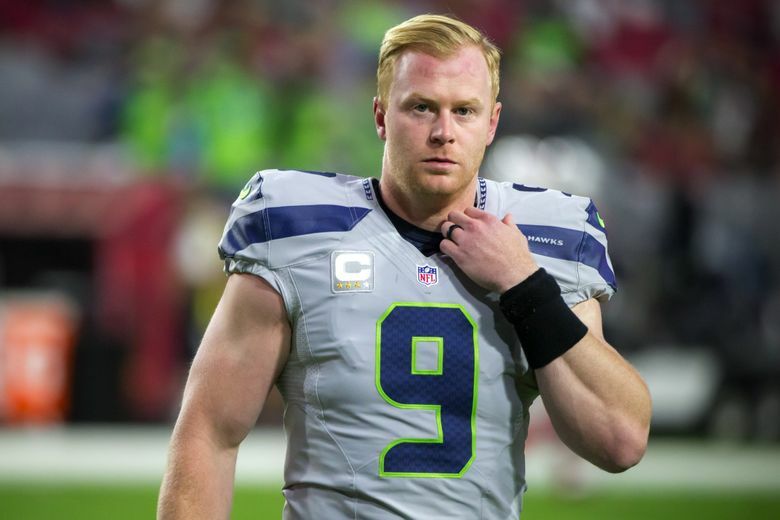 The Seahawks made a trade with Denver Saturday to move up in the fifth round of the draft and then selected punter Michael Dickson of Texas at number 149 overall, a move that has ominous overtones for the future of veteran Jon Ryan, the team’s longest-tenured player. 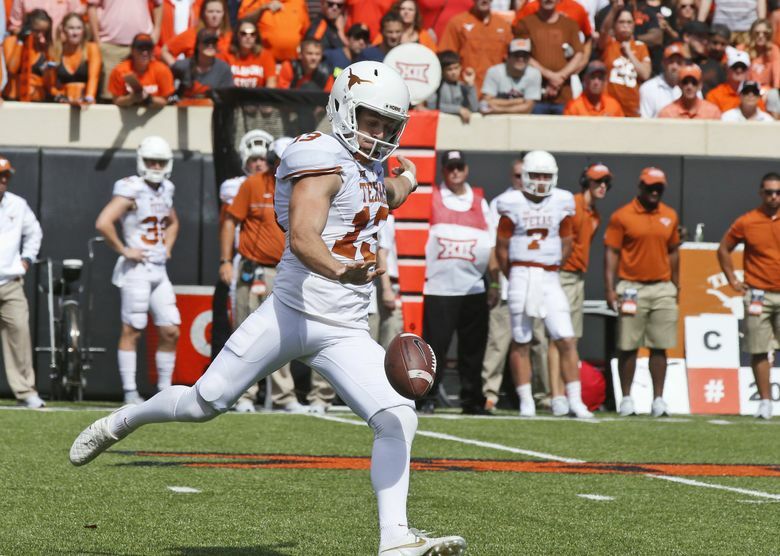 Dickson was generally considered the best punter in college football last season, averaging 47.4 yards per attempt, and left Texas with a year of eligibility remaining. The 36-year-old Ryan — the last player on the roster who predates the arrival of coach Pete Carroll — has two years remaining on a contract that includes cap hits of $3.2 million and $3.6 million the next two years, with dead money of $1.2 million and $600,000, which had led to speculation that he could be in danger of being a cap casualty. Pete Carroll and John Schneider gushed about all the things Dickson can do with his Australian rules football background. Seattle could bring in Dickson to compete with Ryan or simply release Ryan and take the cap savings. Dickson, a native of Sydney, Australia, memorably said at the NFL Combine that the Seahawks had asked him to engage in a staring contest during a meeting with the team. It apparently went well. “I guess I was good at the staring contest,” Dickson said in a conference call with Seattle reporters Saturday. Dickson said the team asked him how long he could keep his eyes open without blinking. Dickson played Australian Rules Football in his native country growing up but said he felt he was hitting a wall with how far he could go and at age 18 began punting with an eye on playing football. The Seahawks traded pick number 226 of the seventh round to Denver to move up seven spots. It is the seventh time Seattle has drafted a punter and first since taking Ryan Plackemeier in 2006 in the seventh round. It is the highest selection they have used on a punter since 1987 when the Seahawks selected Ruben Rodriguez at 131 overall. Dickson declared for the draft shortly after being named as the MVP of the Texas Bowl when 10 of his 11 punts were pinned inside the 20.